Step 2. Click on Add roles and features. Step 3. Read important prerequisites and try to meet them (This includes a strong password for the administrator account, static IP configuration, and installation of the latest security updates). Click Next to continue. Step 4. Choose Role-based or feature-based installation and click Next. Step 5. 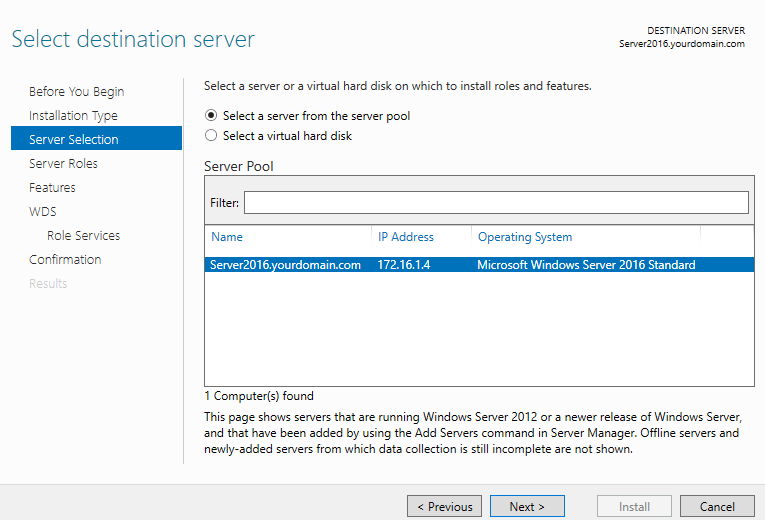 Choose a destination server for WDS from server pool and click Next. Step 6. 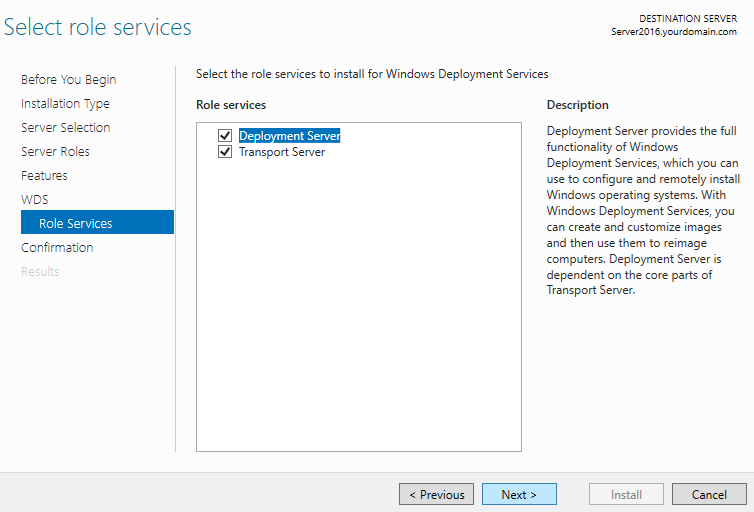 Choose Windows Deployment Services from server roles. As soon as you check that option, a new window will pop up. Click on Add features. Step 8. Click Next two times. Step 10. Click Install (Wait for the installation to finish. This can take several minutes to complete). Step 1. Open server manager dashboard. 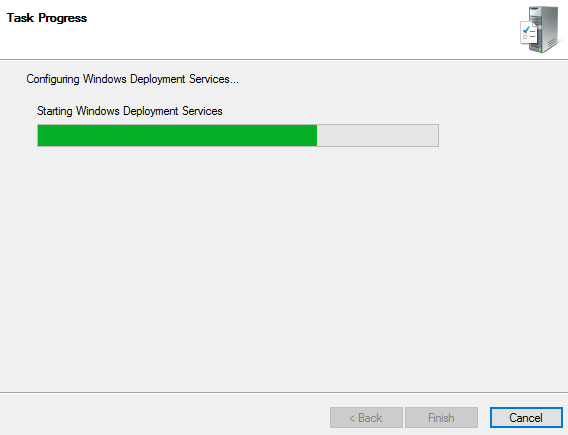 Click Tools -> Windows Deployment Services. Step 2. 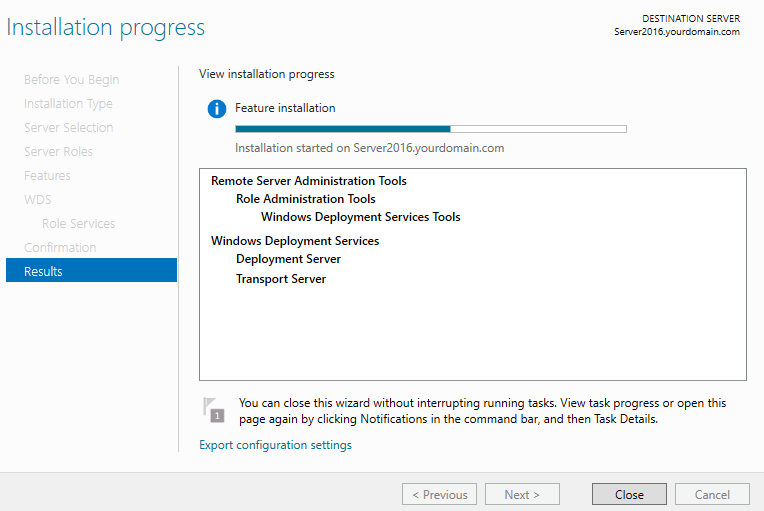 Right-click your WDS server and then click on Configure Server. Step 3. Read important pre-requisites and click Next. Step 4. 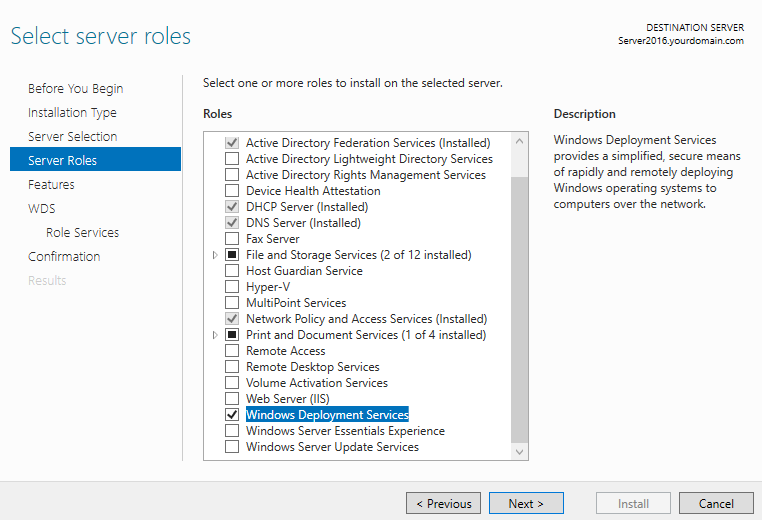 Choose "Integrated with Active Directory". I have an AD configured on my network. 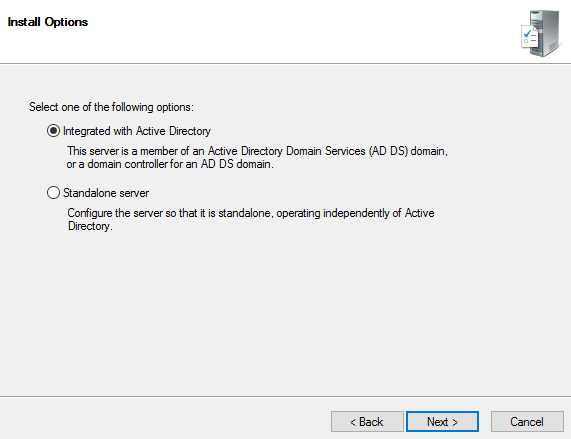 If you don't have an AD configured and you are configuring WDS in standalone mode, choose standalone server. Click Next. Step 5. Provide the path on your NTFS drive where you would like to store boot images, install images, PXE boot files and WDS management tools. Click Next. Step 6. 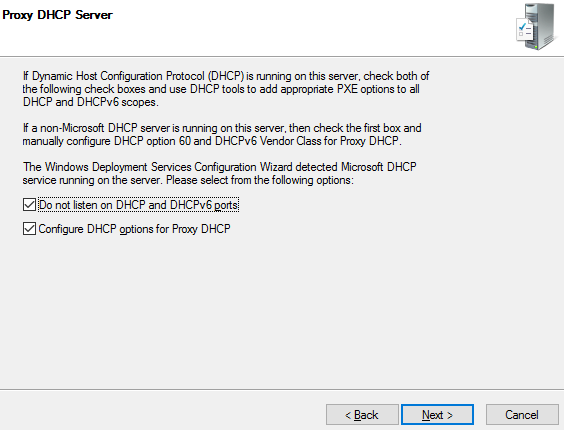 I have configured DHCP on the same WDS server. So check both boxes and click Next. Step 7. Choose 'Respond to all client computers' (known and unknown). Step 8. Wait for the wizard to finish (This can take several minutes to complete). Now your WDS is configured. Read my next article on how to add windows images to WDS for deployment on client computers. This is not a full explanation. you didn’t go through setting up a static ip for the DNS or DHCP servers. If you need an explanation on how to setup DNS or DHCP you shouldn’t be using WDS.